It’s about time. 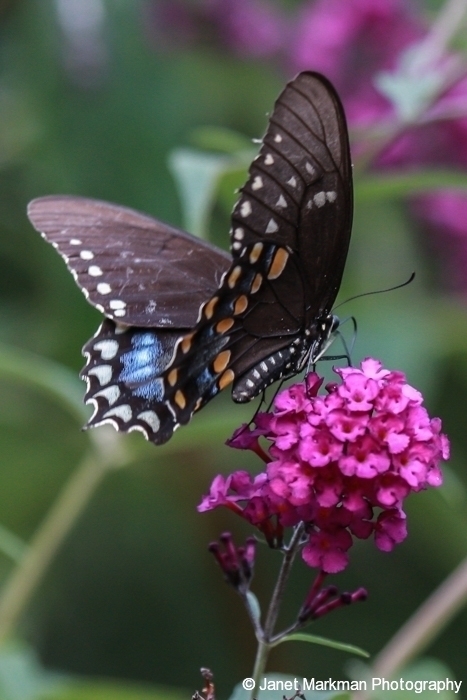 On Monday, January 11, 2016 New Jersey Governor Chris Christie signed into law Bill S939 designating the Black Swallowtail (Papilio Polyxenes) as New Jersey’s official state butterfly. This bill had passed in the state assembly with a 68-0 unanimous vote back on Dec 17, 2015. 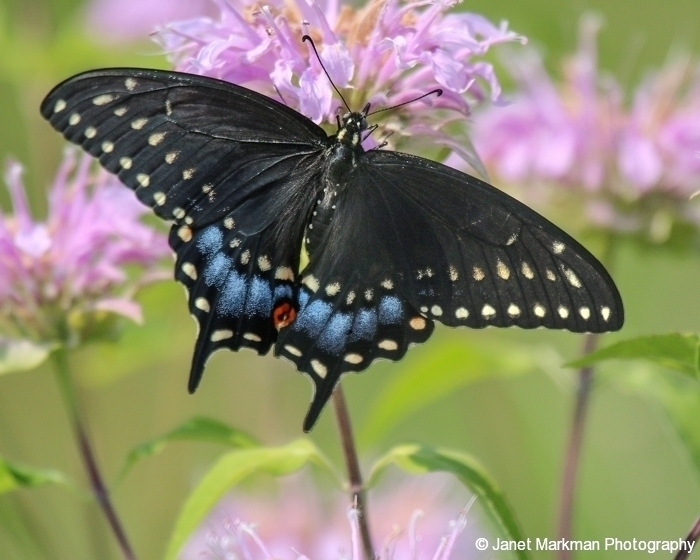 As an avid nature photographer who has personally photographed dozens and dozens of butterflies in their native habitat – including the Black Swallowtail , I was especially excited by the news about New Jersey’s latest state symbol. Though the Black Swallowtail is common throughout North America, it is still a stunning sight to behold, and I am so grateful that it spends its entire lifecycle right here in New Jersey (in all 21 counties). 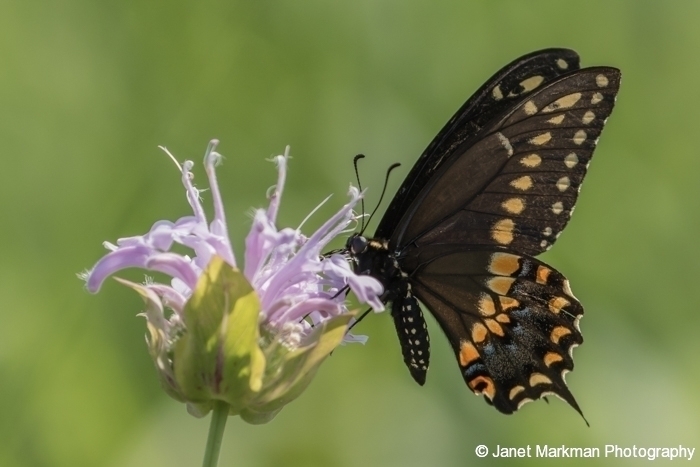 As pollinators, the Black Swallowtails are essential to the ecosystem, and can be found in open areas, meadows, wetlands, fields, roadsides, farms and gardens. The adult butterflies feed on the nectar of flora including milkweed, thistle, wild bergamot, purple coneflower, buttonbush, and the butterfly bush, just to name a few. The host plants, the ones female butterflies lay their eggs on, include plants in the parsley family (Apiaceae) such as Queen Anne’s lace, Golden Alexander, carrot, celery and dill, also provide a food source for their developing caterpillars. Black Swallowtails have taken residence in many of our parks which have special pollinator gardens, and feed on nectar typically found in these gardens. Two excellent areas to find these butterflies are the Hilltop Reservation Meadow and Great Piece Meadows in Essex County, which have many of the plants these butterflies feed on – notably Queen Anne’s lace. 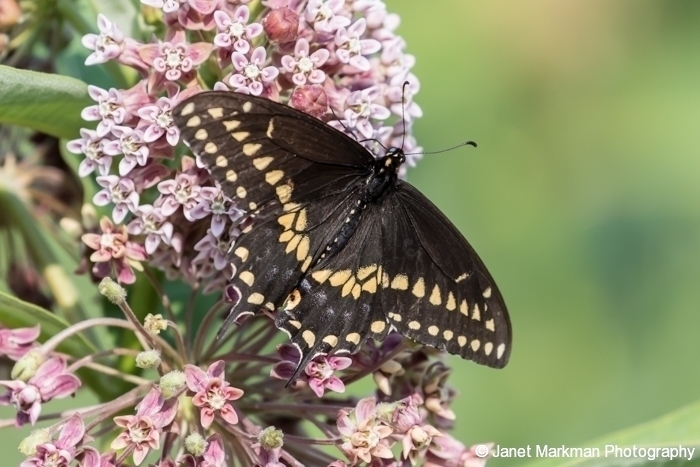 Since the Black Swallowtail spend its entire lifecycle in New Jersey, you many wonder where do these butterflies go during the winter months. Well Mother nature anticipated that, and provided our newest State Butterfly its very own “New Jersey Guide to Living Year ‘Round”. The Black Swallowtail overwinters in New Jersey in its chrysalises (pupa) form – that is, it goes into a state of diapause – an insect’s version of hibernation. Diapause is triggered by shorter days and cooler temperature (if only we had the luxury to do this), and will begin to emerge in April and can be seen through October. This entry was posted in Butterflies. Great blog entry about a NJ nature star! Those pictures are beautiful! I can see you love nature, and your photos are gorgeous!